Capes, are no longer the stalwart of superhero’s, if this weeks Couture offerings are anything to go by. Now whilst I can’t deny that Christian Bales ‘Batman’ oozes panache, I’m not usually moved to borrow from his wardrobe. Capes, whilst directional in theory, rarely translate on any type of female figure, rendering what was undoubtedly a super chic ensemble in your head look more tent like than trendy. 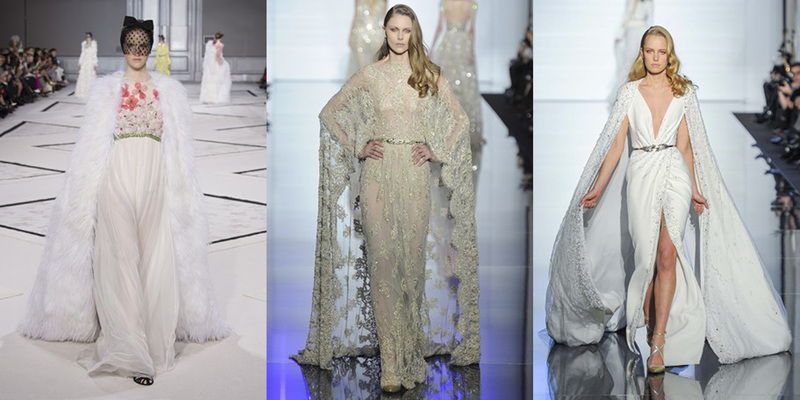 But after consuming show after show this Couture week, it’s evident that the cape is set to receive quite the makeover, having been rendered beautifully on the catwalks of Ralph & Russo, Valentino, Giambattista Valli and Zuhair Murad. These beauties firmly kick Little Red Riding Hoods crimson cover up to the kerb; there’s a new statement to make and it’s all about delicacy. Valentino offered both gentle and moody florals, contrasting a sheer chiffon overlay, scattered with hand crafter buds, with a darker, deep red number over an embroidered column dress. The floral theme continued over at Ralph & Russo, with their opalescent, ‘new look’ throwback dress & cape combo causing serious palpitations. This is one ensemble worth re-mortgaging the house for – perfect for frolicking no? Giambattista Valli offered lashings of frothy fur whist Zuhair Murad contrasted lace and beadwork with powerfully sensual silhouettes, firmly establishing the type of mindset a cape demands. Whilst the floral themes were abundant, this isn’t a trend for wallflowers – swagger is essential! 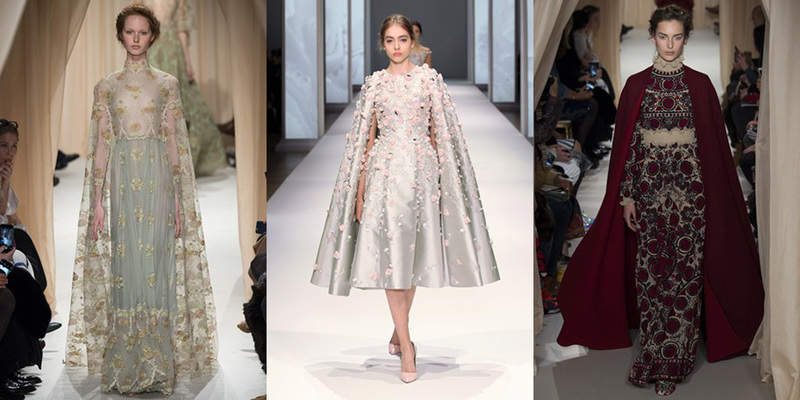 The Couture shows are always a wonderful little precursor to what we can expect come Fashion Month and I am pretty damn excited to see how my favourite couturiers develop the cape silhouette for their Pret-a-Porter collections this February.